We need not look any further than our wrists and pockets for evidence of the impact biophotonic devices have on our lives. Our watches and phones can monitor our health and even remind us when it’s time to exercise. 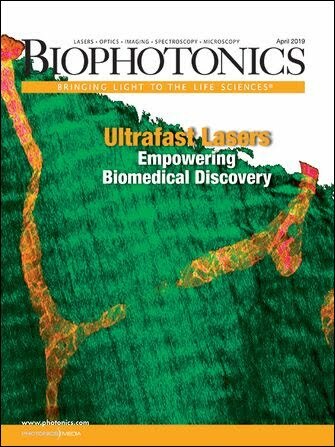 All around us, biophotonics is revolutionizing our world. I am often asked what needs to be done to advance the field and how to help biophotonics continue expanding and growing. One fundamental challenge we must overcome is the shortage of skilled workers. We need to encourage more young people, especially women and diverse candidates, to enter into biophotonic scientific research and manufacturing. Our optics and photonics manufacturing workforce is in dire need of skilled technicians. More openings exist than people to fill them. In addition, experienced technicians are approaching retirement. Optimax Systems Inc., based in Ontario, N.Y., widely advertises that it hires artists, musicians, gamers, and even chefs, because those individuals already possess good hand-eye coordination. They just need to learn the optics. And to do this, Optimax and other companies, including JML Optical Industries LLC in Rochester, N.Y., are partnering with the American Precision Optics Manufacturers Association (APOMA) to offer apprenticeships in optics and biophotonics manufacturing. Monroe Community College (MCC) in Rochester is home to the nation’s oldest two-year degree program that trains students to become technicians in the optics and photonics industry. MCC also offers the nation’s only precision optics manufacturing associate’s degree. But MCC alone cannot graduate enough students to fill the open technician positions worldwide. I wish I could say there is a solution to attracting more young people to enter biophotonics; unfortunately, I do not have all of the answers. I do, however, know we can begin to identify keys to success by first examining how and why some pursue STEM fields. MCC, in addition to its optics degrees, offers a dual-enrollment program in which students take optics courses in their own high school, taught by their own teachers. Upon successfully completing each course, the students receive college credit. More than 300 high school students in the Rochester area are taking these courses right now. This is a successful program, but the reality is that children need more exposure to biophotonics and STEM fields, and long before high school. By high school, many students have already made up their minds on their career path — or perhaps have decided which paths they are not interested in pursuing — without even being aware that biophotonics exists. If we want to grow our field and encourage more students to study biophotonics, we need to expose children to the field. We need an awareness campaign; we need to get the word out that biophotonics is an exciting career path. Light, for example, can be used to maneuver DNA and other types of nanoparticles to research cures for cancer, among other things. An “Optics Road Show” could travel from day care centers to retirement communities, to demonstrate optics and biophotonics phenomena and promote the industry overall. I have seen the excitement on the faces of both the very young and old when discussing science. At the age of three, my own daughter said the words “diffraction grating.” While she didn’t understand the details of how a diffraction grating works, she had heard the terminology and knew my excitement for it. This does not mean she will necessarily follow in my footsteps and end up with a Ph.D. in optics, but she will certainly gain an appreciation for the field and know that our lives are improved because of biophotonics. And she will know women can work in STEM fields. To encourage more young people to enter the fields of biophotonic scientific research and manufacturing, we each carry some social responsibility to broadcast our enthusiasm for our fields and the opportunities within them. Actions can be as simple as visiting a school to share your story about why and how you entered biophotonics; opening your company to school tours; or mentoring students. Donating equipment to schools can also enhance students’ interest and education in the field, as can collaborating with colleges or other organizations to develop biophotonics courses and programs. We need to educate all of our youth about biophotonics, with a particular push to inspire young girls to pursue careers in the field. Alexis K.S. Vogt, Ph.D., is endowed chair and associate professor of optics at Monroe Community College (MCC) in Rochester, N.Y. She received her B.S. as well as her Ph.D. in optics from the Institute of Optics at the University of Rochester, where her research focused on polarization engineering, coherence theory, and microscopy. Prior to joining MCC, Vogt was the applications and business development manager at Melles Griot. She has also designed contact lenses and intraocular lenses for Bausch + Lomb. Vogt holds three patents and has authored numerous papers, presentations, and publications in the field, including writing the definitions of “light” and “polarization” for the World Book Encyclopedia. She dedicates time to youth outreach and has been involved with coordinating and presenting optics demonstrations for children and educators, both within the Rochester community and internationally. Vogt is a recipient of the Rochester Business Journal 2016 Forty Under 40 award and the 2017 New York Photonics Education Award, and she serves on the Board of Trustees for the American Precision Optics Manufacturers Association (APOMA), the Rochester Museum and Science Center, and the Rochester Regional Photonics Cluster.